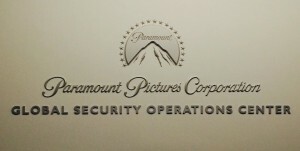 Founded in 1912 and with many successful films to its name, including “The Godfather,” “Indiana Jones,” “Transformers” and “Mission: Impossible,” Paramount Pictures is one of America’s oldest movie studios. The Challenge: With 10 critical security systems including perimeter protection, fire alarm, intrusion, access control and video surveillance systems using different operating systems, the company needed a way to centrally monitor and manage incidents for improved response times and better overall protection. With these disparate systems, it took multiple operators in the command center to respond to an incident, not including the responders on the ground, which meant Paramount needed a more efficient and effective way to respond. The SureView Immix CC enterprise platform met the company’s need for a simple, user-friendly interface that wasn’t over-complicated and didn’t require a lot of time to install, configure and learn. The platform also is UL certified for alarm monitoring. San Francisco Municipal Transportation Agency (SFMTA) was in need of a solution to maximize the use of their CCTV cameras deployed in the transit system, including the buses, trains and subways. SFMTA serves the buses, subways and trains system across the City of San Francisco as well as the Caltrain system. They ensure the safety and operations of the transit system in the city of San Francisco as well as oversee Muni, bike and pedestrian programs, taxis, parking and traffic control operations in the city. As part of a new initiative, San Francisco Traffic and Transit Security were brought together for the first time under one Transportation Security organization. A new command center called the Transportation Management Center (TMC) was built in the heart of San Francisco to centralize the response of this team. Boston-based biotechnology company, Genzyme is an organization dedicated to the research of rare genetic-related diseases. Acquired by French global healthcare giant Sanofi in 2011, Genzyme has made the security of its physical and intellectual assets a priority since the 1990s, and was among the first companies to define security as a process that encompasses enterprise risk, supply chain, insurance and liability, IT and physical security, and competitive technical information. After Sanofi’s acquisition of Genzyme, the Boston subsidiary’s security leadership became a model for the organization and therefore, was tasked with implementing security integration throughout the global enterprise. Sanofi, one of the world’s largest pharmaceutical companies, decided to tackle one of the most common problems still facing a large number or organizations around the world today — how to go about integrating and streamlining a multitude of different security systems and sensors into one, easy-to-use interface. After careful consideration, Sanofi opted to implement SureView Systems’ Immix Command Center software platform as a way to not only easily incorporate information from a multitude of physical locations into their global security command center, but also provide an enhanced form of monitoring that would make the jobs of operators much more manageable. As one of the world’s largest combined power companies and a supplier of energy to over 5 million UK citizens, the continuity of business and security of its people and assets is critical to the whole operation of E.ON UK. Security at E.ON was monitored either by commercial monitoring companies, self monitored with a guard on site or not monitored at all. This decentralized approach was expensive to run and made cost control difficult. It was also impossible to generate meaningful management data on the scale of losses and effectiveness of the security in place at each site. E.ON made the strategic decision to centralize all their security monitoring in-house, in a dedicated permanently manned control room. Immix was selected as the primary alarm management platform because of its flexibility in addressing a diverse set of the security threats and multiple systems in use. Angel Carcione, Director of monitoring operations for Securitas Argentina, had a vision of providing a blended security solution to his customers that leveraged a local guard and monitoring presence through the day with monitoring transitioning to their central station (RVS) at night. Angel needed a solution that was simple to use, accessible securely from both the customers’ site and the monitoring station and was able to tie together different security devices including video, access control, alarm systems and audio into one monitoring interface. Utilizing their Immix global license, Angel selected Immix CC as the perfect platform to deliver his vision for a blended security service and identified a gated community in Buenos Aires, Santa Maria De Tigre, as an ideal first customer for this new initiative. Immix connected their traditional alarms with video systems from HikVision and Axis providing a simple to use monitoring interface that augmented the services of their onsite guards. The city, which encompasses a geographic footprint of more than 27 square miles, is also home to numerous local, state and federal agencies that occupy facilities within the Santa Ana Civic Center complex, including the Ronald Regan Federal Building and Courthouse. Given the sensitive nature of these buildings and the agencies located within them, Santa Ana police wanted to have comprehensive surveillance coverage of the area. They decided to implement SureView Systems’ Immix Command Center software as part of a video-sharing initiative that would enable police and various other agencies to leverage each other’s camera assets. According to Santa Ana Police Officer Otto Laufer, who serves as logistics coordinator for the department’s Urban Area Security Initiative (UASI) office, the police department’s foray into video surveillance began in 2008 with the installation of 48 cameras inside the department’s administration building. 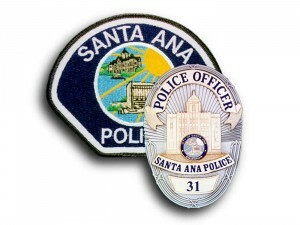 Shortly after seeing the success of their camera deployment, however, Santa Ana police wanted to expand the reach of the system to include other critical areas of the city, such as the aforementioned civic center. There was just one problem: The city did not own most of the buildings inside the complex, and police would have to convince the stakeholders involved to allow them to install cameras on their facilities. G4S Technology made the strategic decision in 2008 to develop a centralized service hub, the Technology Service Centre (TSC), to augment their traditional security services with a suite of high value interactive monitoring services. To realize this goal the TSC needed a software platform to monitor a heterogeneous set of access control, video, audio, and traditional intrusion equipment located across the US in support of their customers. G4S US identified SureViews’ UL listed Immix platform as the most stable, secure, and robust platform to address their customers’ issues, while remaining vendor independent. Securitas management in both Belgium and Netherlands jointly identified several opportunities to enhance their video services within their alarm receiving centers. Given the close proximity and similarities between the two distinct operations, it was decided that any new system to manage their event driven video provision should work for both stations independently yet allow each station to act as a complete backup for each other. Immix enabled Securitas to take on the remote guarding contracts from various existing installed systems without requiring any additional systems or operator training. The services have grown by over 1000% in four years without the need for a major investment in additional hardware or new operational staff. Remote Video Response (RVR) had identified that their customers were buying video systems at the “best available price” rather than being loyal to one manufacturer. This presented RVR with a challenge when offering remote video monitoring. How could they consistently support a growing range of different video devices, expand their suite of monitoring services and accomplish this without a major capital outlay? After extensive research looking for a software platform to monitor both current and future systems, Immix was selected as the logical choice to meet the challenges faced by RVR. Immix integrates many disparate CCTV systems into one easy to use graphical user interface. Immix is the market leader in remote video monitoring software with an unparalleled integration library. Devices are integrated using a standard methodology, this normalizes response in the monitoring center regardless of the devices in the field. It allows for the quick development of new device integrations as customer demands change. It also centralizes IT resources, reducing the capital outlay to implement a large numbers of technology specific servers that would normally be required to support standalone VMS systems. Acadiana Security Plus (ASP), based in Lafayette, LA, is a long-standing traditional alarm installer with their own central monitoring station. ASP is far and away the market leader in the six-parish region known as Acadiana; however, the company’s primary focus had always been the residential alarm market with small to mid-size businesses following that, but never reaching the level of success the company enjoyed in the residential space. Most companies of this stature would be content enough to rest on their laurels and continue the same level of success through the same business model, but Acadiana Security Plus had other ideas and loftier goals. Established in 2007, National Video Monitoring (NVMC) is one the largest and oldest focused-providers of live video monitoring in the United States. The company provides both a direct sale and installation offering, as well as a channel partner program across the U.S. In 2017 alone NVMC issued more than 5,000 police reports, saving customers an estimated $20,000,000 in potential losses. myriad of other object movements, or false-positive alarms that detect human or vehicle activity on site, when in fact that activity is actually authorized and thus, should not be something the monitoring center should receive or have to process.